Going trick-or-treating? Here are some safety tips to keep in mind while you enjoy a spooky fun night with your children. S– Swords, knives, and similar costume accessories should be short, soft and flexible. A– Avoid trick-or-treating alone. Walk in groups or with a trusted adult. F– Fasten reflective tape to costumes and bags to help drivers see you. E– Examine all treats for choking hazards and tampering before eating them. Limit the amount of treats you eat. A– Always test make-up in a small area first. Remove it before bedtime to prevent possible skin and eye irritation. L– Look both ways before crossing the street. Use established crosswalks wherever possible. L– Lower your risk of serious eye injury by not wearing decorative contact lenses. O– Only walk on sidewalks whenever possible, or on the far edge of the road facing traffic to stay safe. W– Wear well-fitting masks, costumes, and shoes to avoid blocked vision, trips, and falls. E– Eat only factory-wrapped treats. Avoid eating homemade treats made by strangers. E– Enter homes only if you’re with a trusted adult. N– Never walk near lit candles or luminaries. Be sure to wear flame- resistant costumes. Have fun on Halloween but keep it safe! 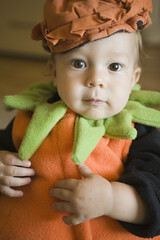 Posted in Uncategorized | Comments Off on Tips For A Safe and Happy Halloween!